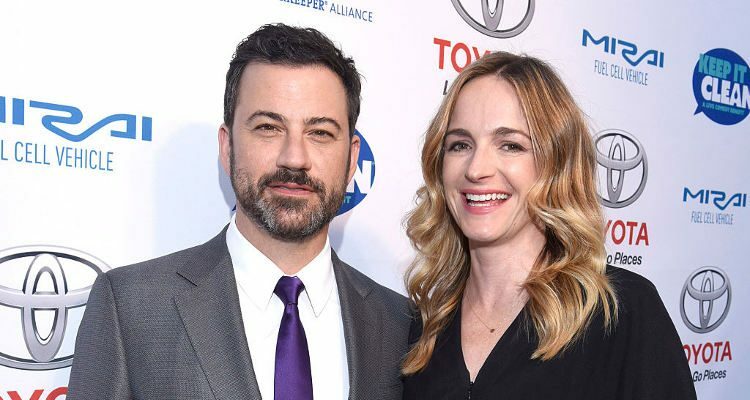 Jimmy Kimmel’s wife, Molly McNearney, is pregnant reports E! News. On Jimmy Kimmel Live!, Kimmel also revealed the news to the audience. This will be the couple’s second child. McNearney loves pizza, gnocchi pasta, BLT, crab claws, and cheeseburgers—and it’s been quite a long time she indulged in her favorites. Since she is pregnant, she is staying away from unhealthy foods and focusing on fitness. She is well aware of the fact that healthy eating is important for her baby’s growth and development. Dieting during pregnancy doesn’t mean restricting calories or trying to lose weight. The diet must be rich in iron, folic acid, and other important vitamins and minerals. Her pregnancy diet is a combination of foods from a variety of categories like breads and grains, protein sources like dairy products, and fruits and vegetables. McNearney ensures she eats small meals throughout the day to fulfill her and her baby’s nutrient requirements. Vitamin C and folic acid are the most essential nutrients for pregnancy. She consumes lots of oranges, grapefruits, and honeydew, as well as vegetables such as broccoli, tomatoes, and Brussels sprouts, which are good sources of vitamin C. She has two to four servings of fruit and four or more servings of vegetables daily. During pregnancy, one must consume 0.4 mg of folic acid per day to prevent neural tube defects. She includes dark green leafy vegetables, legumes such as black or lima beans, and black-eyed peas in her diet, which fulfills her body’s daily folic acid requirement. The required amount of folic acid can be also obtained from fortified bread and cereal. Carbs are equally important for the baby’s growth and can be found in breads and grains. It is recommended to consume six to 11 servings (six to 11 ounces) of breads or grains daily. She also consumes three servings of protein daily. Protein is very important for helping the baby to grow, especially in the second and third trimesters. Her diet includes meat, poultry, fish, eggs, lean beef, chicken, lamb, liver, turkey, and beans which are high in proteins. These foods are also rich in iron and vitamin B. Iron helps to carry oxygen to the baby and to the mother’s muscles as well, and avoids fatigue, weakness, irritability, and depression. She also consumes four servings of dairy products daily. The body requires 1,000 mg of calcium per day. Calcium helps have strong teeth and bones, normal blood clotting, and provides proper muscle and nerve function. It can be found in dairy products like milk, cheese, and yogurt. In addition to a healthy diet, Molly McNearney stays active by constantly moving around. She practices yoga that helps her battle mood swings at varying levels, fatigue and sickness. It ensures you have an easier labor and smooth delivery. Please note that if you are pregnant and planning to take up yoga for the first time, it is recommended to obtain medical consent first.